Workshop: Don't Follow (Just) the Water - Does Life Occur in Non-Aqueous Media? Is the origin of life a common or even inevitable outcome of the general evolution of structure in the cosmos? Determining the ubiquity of life in the cosmos requires understanding the range of environments within which chemical self-organization and self-assembly of structures can occur. On Earth, liquid water is the medium that allows molecules to interact and assemble the machinery and compartments of life. But is water especially or exclusively suited for the origin of life? Discovering that self-organization and self-assembly of chemical systems occurs in liquid media other than water, even if these did not cross the threshold of life, would argue that life is an intrinsic property of chemical reactivity. The proposed KISS study is inspired by and in part an outgrowth of our increasing knowledge, through observations and laboratory studies, of Titan as a global system where atmosphere, surface, and interior interact. The Cassini/Huygens mission in particular has led to discoveries of hydrocarbon lakes and seas on Titan, provided evidence for the presence of a water ocean in the interior, and the formation of high-mass organic molecules in the upper atmosphere. These studies have provided a framework for understanding the formation of complex organic molecules in Titan's atmosphere, the organic cycle operating on Titan, and the further chemical evolution that continues to occur on Titan's surface at cryogenic temperatures. This study will investigate whether life could originate in hydrocarbon fluids using Titan as an exemplar of a low temperature exoplanetary surface. It will also investigate other fluids such as liquid and supercritical CO2 suggested to be present on exoplanets. Note this is an invitation-only workshop. Photochemical Evolution of Condensed Organics in Titan’s Atmosphere and on the Surface. 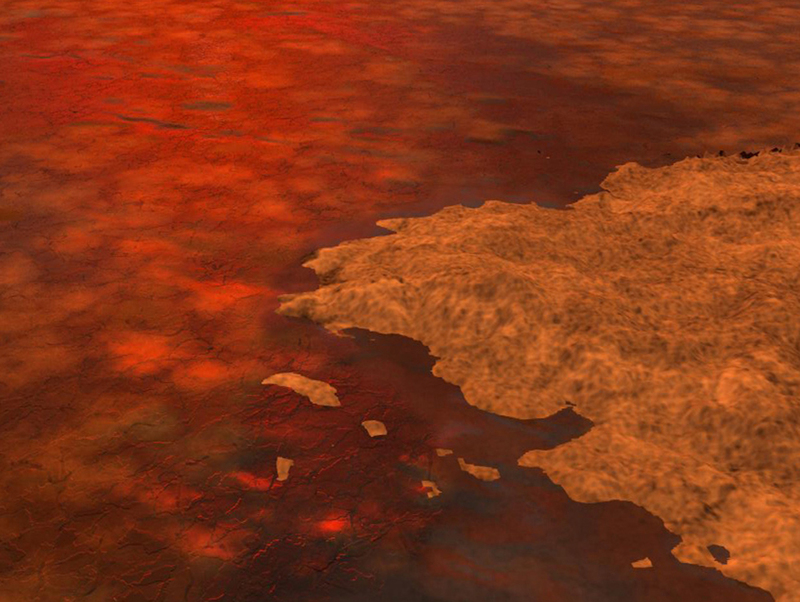 How Earth-Like is Titan?